RRP $549.00 $461.00/unit for 4 pcs. 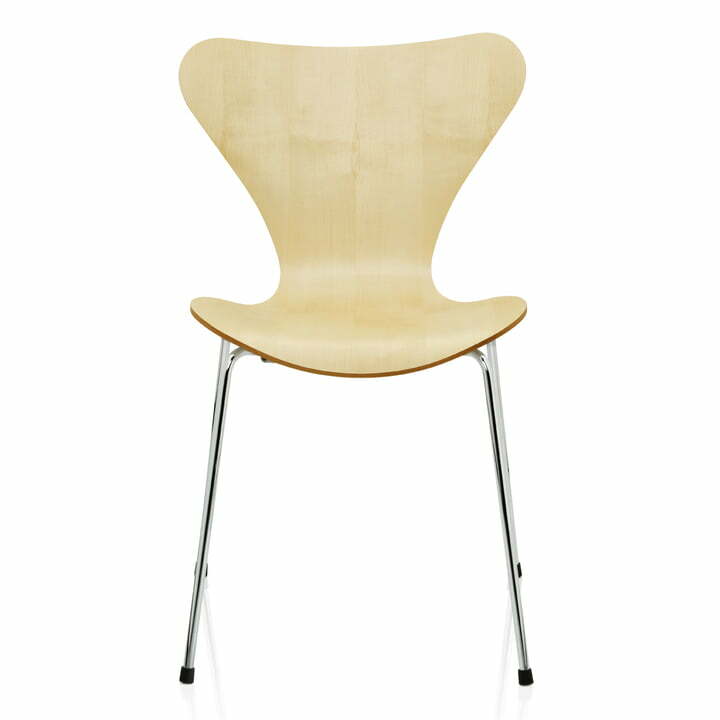 With the design of the 3107 series, designer Arne Jacobsen created one of the most popular chairs in history. With several million copies sold and a place in the most prestigious museums and design collections in the world, the Series 7 is a classic among seating furniture. This design of this series from 1955 is today produced by Fritz Hansen in a range of different colours and with various bases. 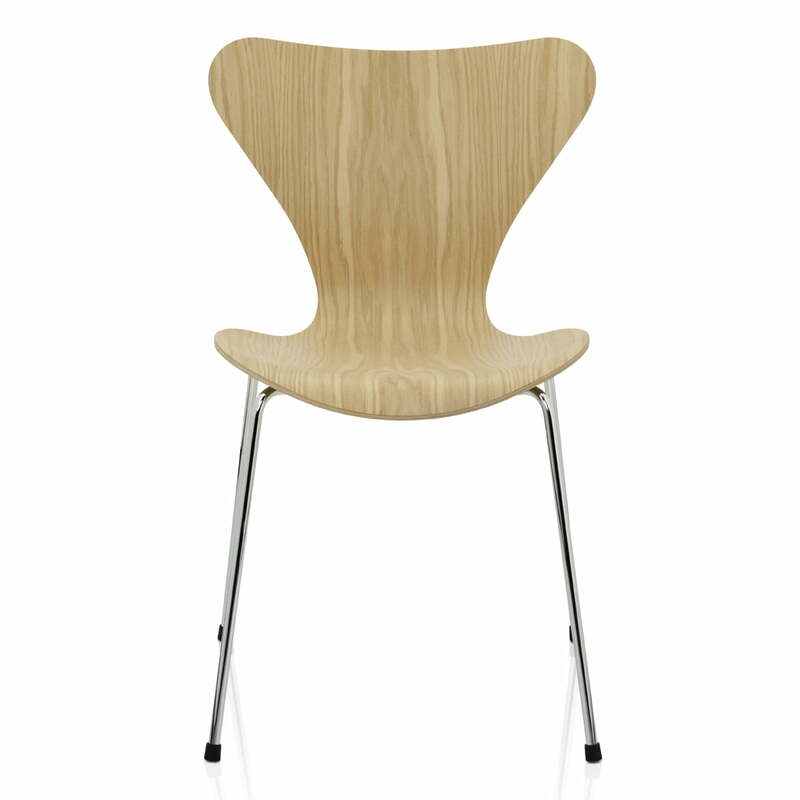 The “classic” version is nevertheless the Series 7 Chair with chrome-plated, four-legged base and seat shell in natural or coloured seat finish. The elegantly curved seat consists of moulded veneer. The seat is available in ten different types of wood altogether, whereas the core veneer is always made from beech. The individual grains of the wood emphasise the organic shape of the seat shell, which gives the chair a timeless, natural look. For select colour accents, the wooden stool is additionally available in coloured versions made from ash. At that, the ash veneer is covered in a range of colours which bring out the natural structure of the wood as well as in a lacquered version with a silky-smooth surface. The Series 7 can be customised and on request, it is available in more colours and types of wood. The seat of the series 7 Chair consists of a single piece of plywood. It is deformed in two dimensions using steam. Take a look behind the scenes, find out more about the making of one of the best-selling chairs of the world. 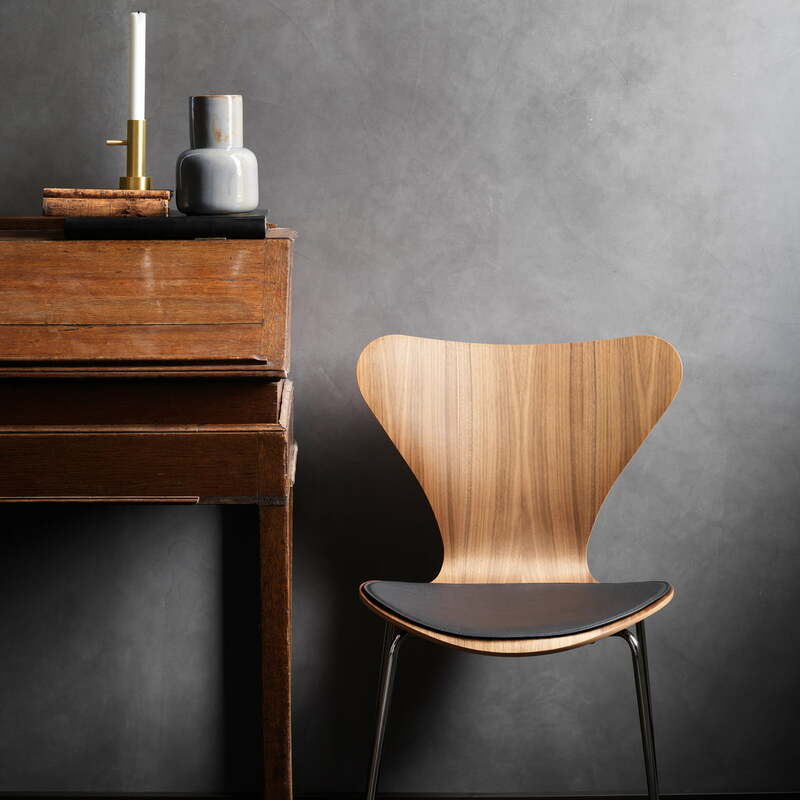 Lifestyle product image of the Fritz Hansen - Serie 7 Llather seat cushion. The stylish leather seat cushion consists of high quality padded leather that makes the series 7 chairs even more comfortable.